Before we get to the heart of the matter, let’s talk about the exterior changes. 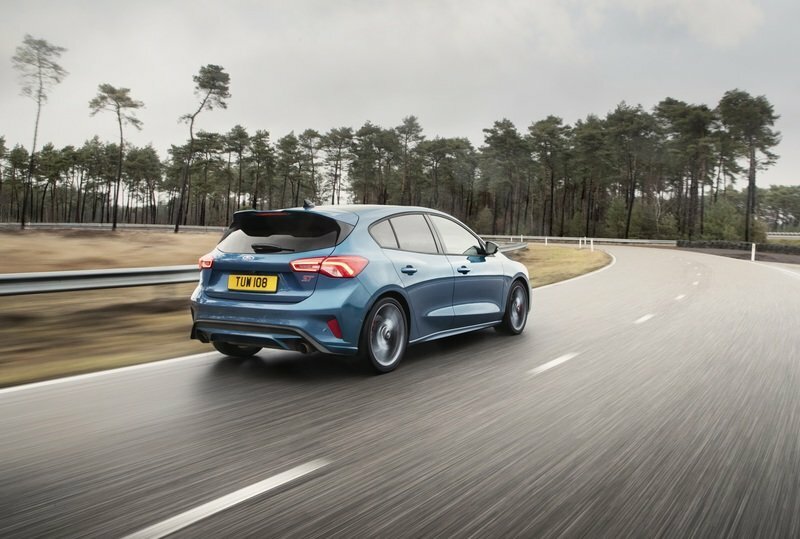 The new Ford Focus ST features revised aerodynamic elements that include a front grille that has been optimized for better cooling and a rear roof spoiler designed for more downforce. On the inside, the Focus ST wears new seat covers for the repositioned Recaro seats. 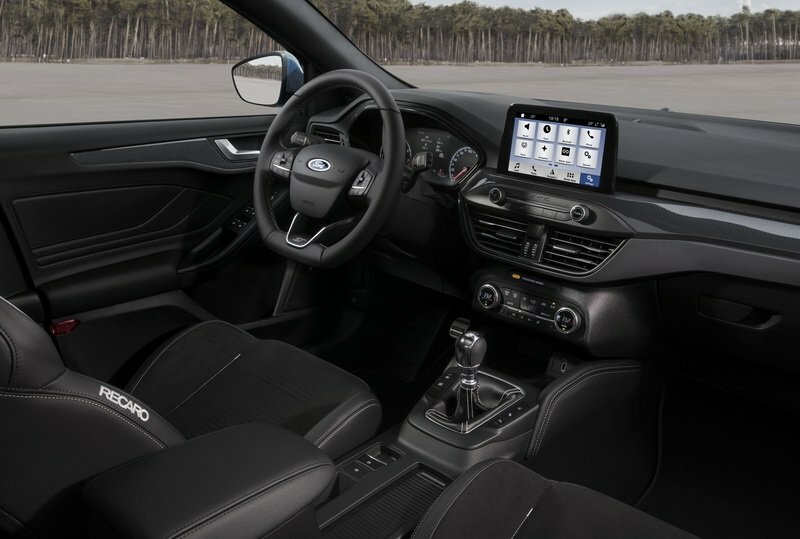 You can choose either leather, cloth, or a mix of leather and a suede-like microfibre, similar to Alcantara, which Ford calls ’Miko Dynamica’. Apart from this, the new Focus ST features an aluminum gearknob and scuff plates. There are a few other ST-specific design elements that differentiate it from the lower-spec Focus like alloy pedals, metal gray stitching on the dash and seats, etc. 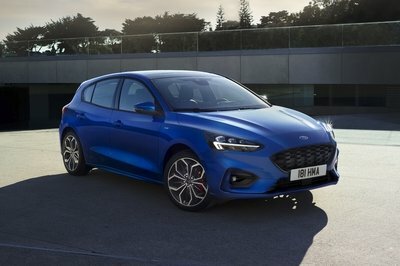 Ford says that the revamped engine lineup unlocks an extra 12-percent horsepower and 17-percent torque compared to the old Focus ST.
To cater to the petrolheads, Ford has plonked in an all-new 2.3-liter, four-cylinder, EcoBoost engine that packs 276 ponies and 310 pound-feet of torque. 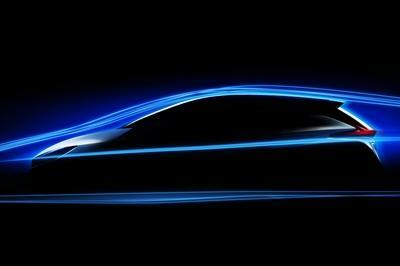 Ford claims that the car can sprint from a standstill to 62 mph in less than six seconds. 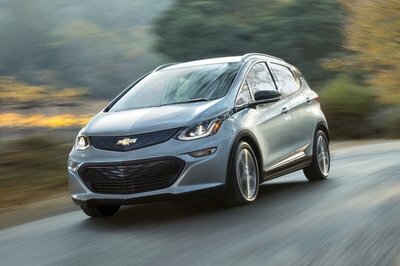 The hatch, which basically only receives performance-oriented changes, borrows anti-lag tech originally developed for its siblings, the GT and the F-150 Raptor, to ensure optimal power transfer when the vehicle is in Sport or Track mode. Ford has also worked on the engine’s response and enhanced it by adding a low-inertia twin-scroll turbocharger. 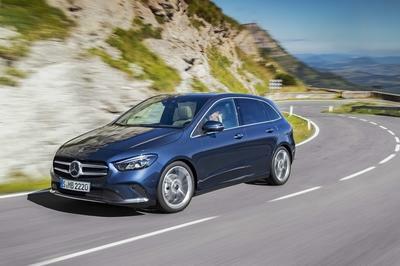 This engine is mated to a six-speed manual gearbox as standard and a seven-speed automatic as an option. The manual stick-shift comes with shorter throws, thus benefiting from a seven-percent throw reduction when compared to the older models. 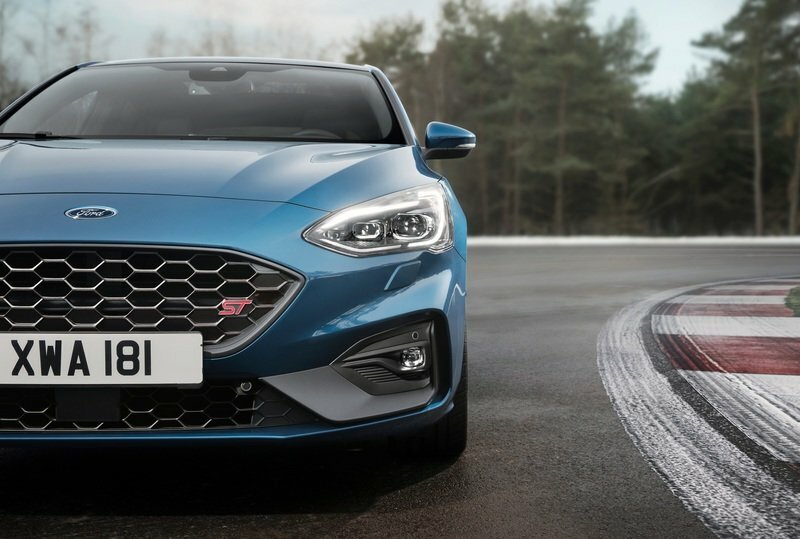 For better stability when cornering the hatch hard, Ford has equipped the front-wheel-drive Focus ST with an electronic limited-slip differential as standard. Ford has gone to all the way to make sure the Focus ST does not lack in performance from any angle. According to the company, "An electronically actuated waste-gate allows closer control of boost pressures for optimized engine performance. In addition, a unique exhaust system that reduces back pressure, bespoke air intake system and optimized intercooler further improve breathing." 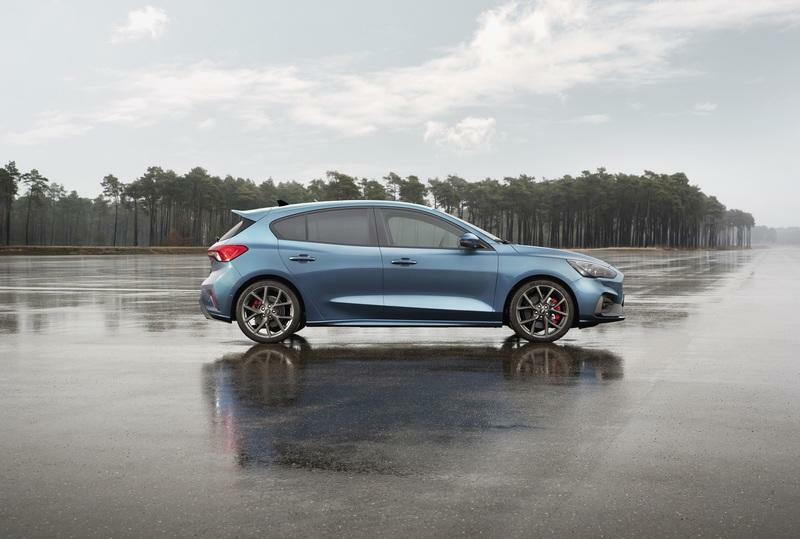 If you’re looking for an oil-burner, Ford offers the new Focus ST with a 2.0-liter, EcoBlue engine that produces 187 horses and a mammoth 295 pound-feet of torque. This one, too, is mated to a six-speed manual and a seven-speed automatic gearbox. 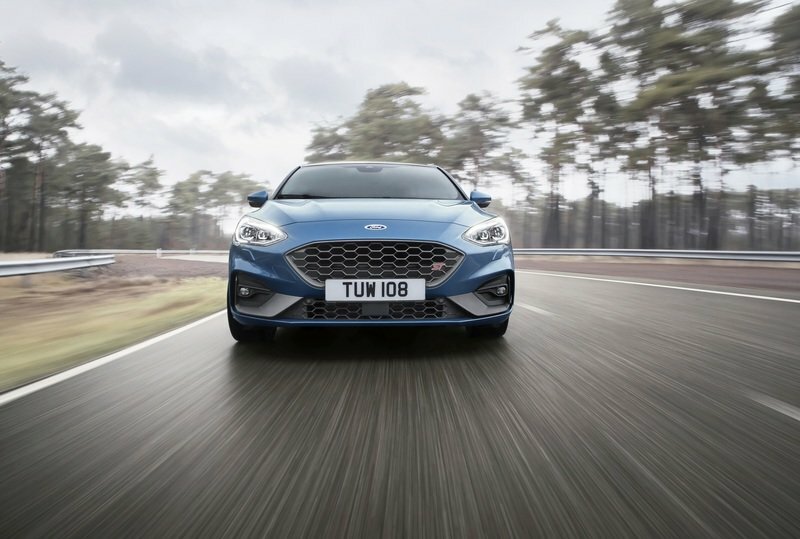 The diesel Focus ST does not suffer from turbo-lag like the previous generations, as maximum power and torque are available from as low as 2,000 rpm. This makes it the strongest diesel Ford Focus ST made to date. 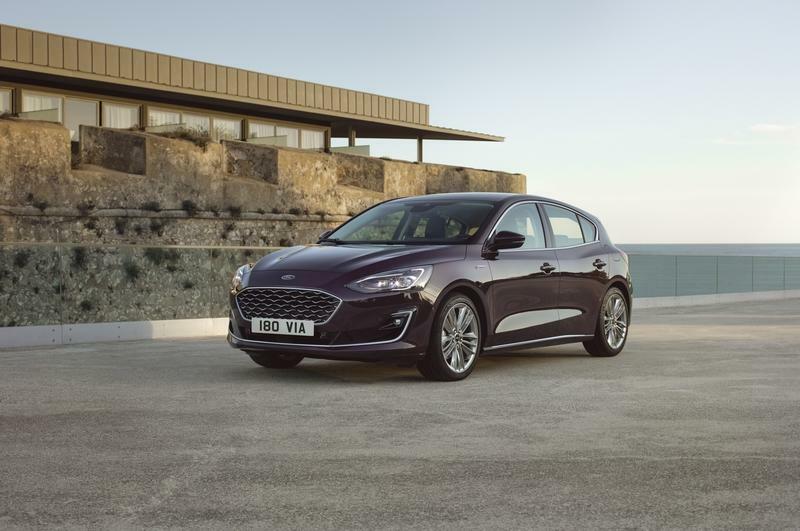 The diesel mill also benefits from torque vectoring that reduces understeer by automatically applying brake force to the inside front wheel when cornering. The new Focus ST has also been equipped with electric power steering that is 15-percent quicker than the standard Focus. 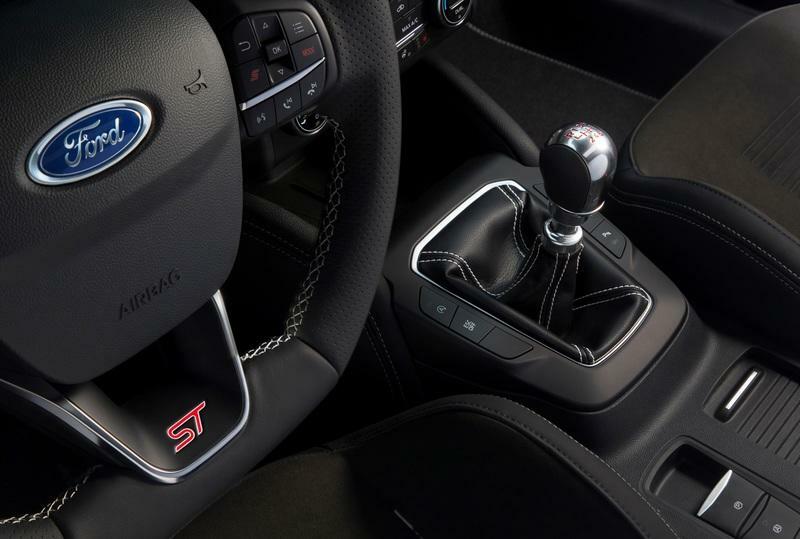 The 2020 Ford Focus ST also comes with Selectable drive modes like Normal, Slippery/Wet, and Sport. These are offered as standard, whereas the Track mode comes with the Performance Pack. That said, Track Mode is available only models equipped with a gasoline engine and a manual transmission. It includes a launch control system, red brake calipers, and rev-matching technology borrowed from the Mustang. 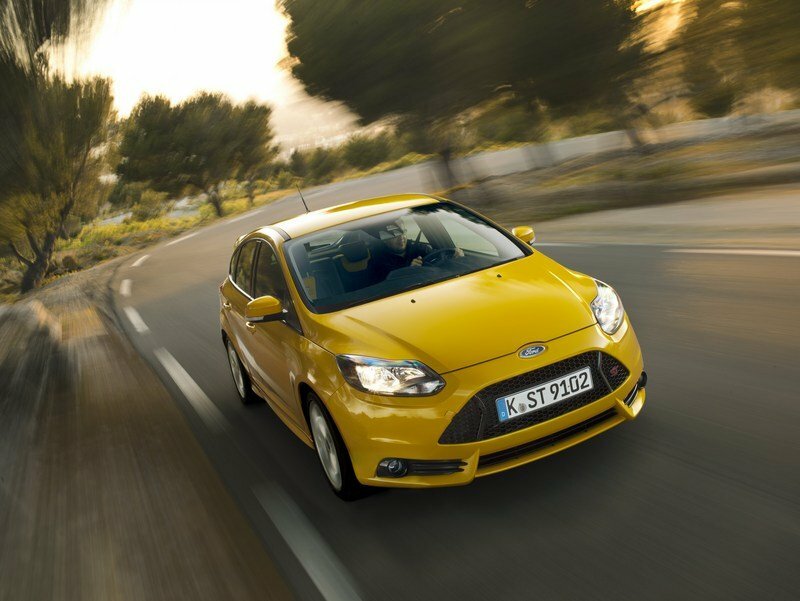 Ford has revamped the new Focus ST to square it up against the Volkswagen Golf GTI and GTD. 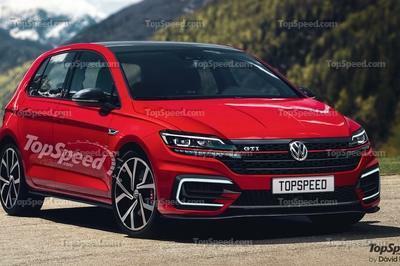 Talking about the GTI first, this petrol hot hatch comes with a 2.0-liter engine that produces 242 horses. It is mated to a seven-speed, lightning quick DSG gearbox that helps it sprint from 0 to 62 mpg in 6.5 seconds. As for the GTD, it comes with 2.0-liter unit that churns out 181 horses and 280 pound-feet of torque. This engine can pull the Golf from a standstill to 62 mph in 7.5 seconds. 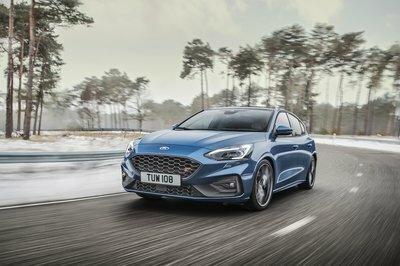 The automaker says that the new Focus ST will be on sale in Europe from the summer of 2019 in hatchback and wagon flavors. It will most likely come with a price tag of around £22,500 (approximately $29,000). What are your thoughts on this car? Share them with us in the comments section below. 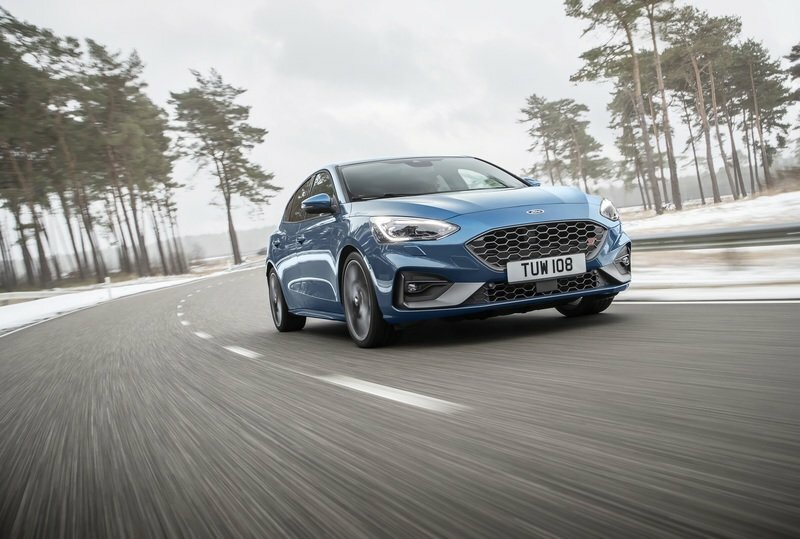 Read our full review on the 2019 Ford Focus ST.